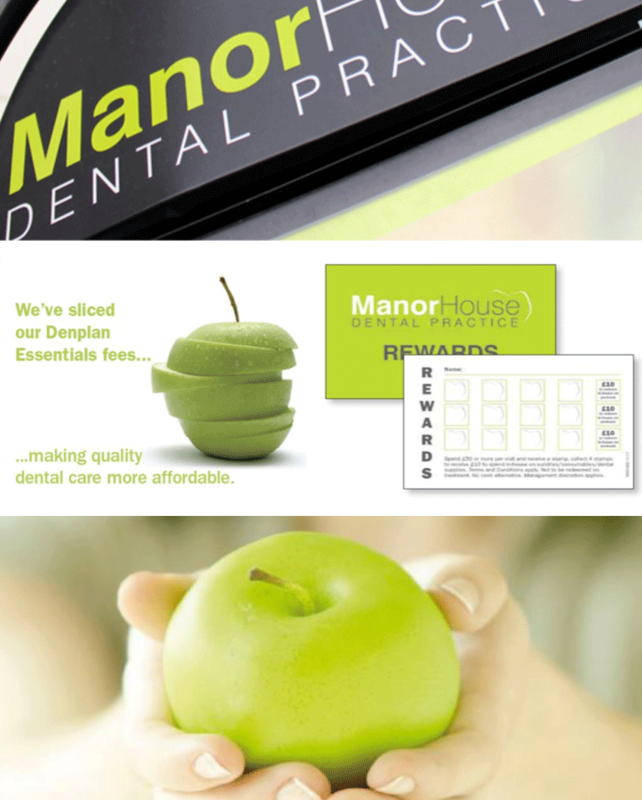 For our current offers please visit our Facebook page or look under ‘Offers’ on the Manor House Dental Practice App. Loyalty stamps are now redeemable on TREATMENT and SUNDRIES. • Spend £50.00 or more on treatment, per visit, per day and receive a stamp, collect 4 stamps on your paper Loyalty card to receive £10.00 off your next dental visit or sundries. • Spend £50.00 or more on treatment, per visit, per day and receive a stamp, collect 6 stamps on your paper Loyalty card or Manor House Dental Practice App to receive £15.00 off your next dental visit or sundires. • NEW Denplan patients are eligible for a loyalty stamp for each visit that would equate to £50 or more e.g. a hygienist visit. • Loyalty vouchers may not be redeemed for treatment on the day that they are given. Although they may be used against sundries. As well as receiving discount loyalty stamps for recommending us to friends and family, we have other generous discounts for your family members. So do let your friends and family know of our ongoing offers. *a mature student is defined as any student aged 21 or over at the start of their studies. All discounts are for clinical time only and exclude any laboratory fees. Certain exceptions apply for cosmetic treatments, including orthodontics, and anti-snoring devices.